Makers of Hand Crafted Gym Safe Drytooling Tools and Wood Technical Ice Climbing Tools, Furnace Industries is committed to promoting dry tooling, ice, and mixed climbing while educating climbers to conserve the climbing environment. Time to Climb, a site by Nicholas Hernandez, is a site dedicated to those who have a passion to pursue their dreams. Time to Climb also hosts climbing related film events in the tri-state area. Patagonia grew out of a small company that made tools for climbers Alpinism remains at the heart of a worldwide business that still makes clothes for climbing – as well as for skiing, snowboarding, surfing, fly fishing, paddling and trail running. A member-owned co-op since 1938, REI (Recreational Equipment Inc.) sells sporting goods, camping gear, travel equipment, and clothing. The Climbing Zine is a collection of memories of treasured experiences. We are here to represent the soul of rock climbing, and take it back to the essence. 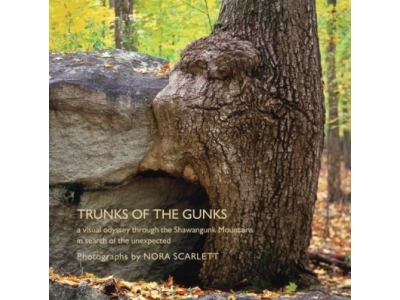 Photographer and author of "Trunks of the Gunks," a visual odyssey through the Shawangunk Mountains in search of the unexpected. Handcrafting premium packs and bags since 1977. BC's New Paltz Climbing Gym is a center for the rich climbing community based around the Gunks. BC's is the local spot for experienced climbers to meet partners, make friends, and enjoy the community our sport creates. Chris Vultaggio's adventure photography and writing has been featured by National Geographic online, Rock and Ice, Climbing magazine, and maintains a global base of Fortune 500 clients including BMW, Anheuser Busch inBev, and major financial institutions. Chris is also on the board of directors of the Gunks Climbers' Coaltion.